Where the hell is Malta? I mean come on. LOOK AT THIS PLACE! Our minds were sufficiently blown, so we decided to make it happen. 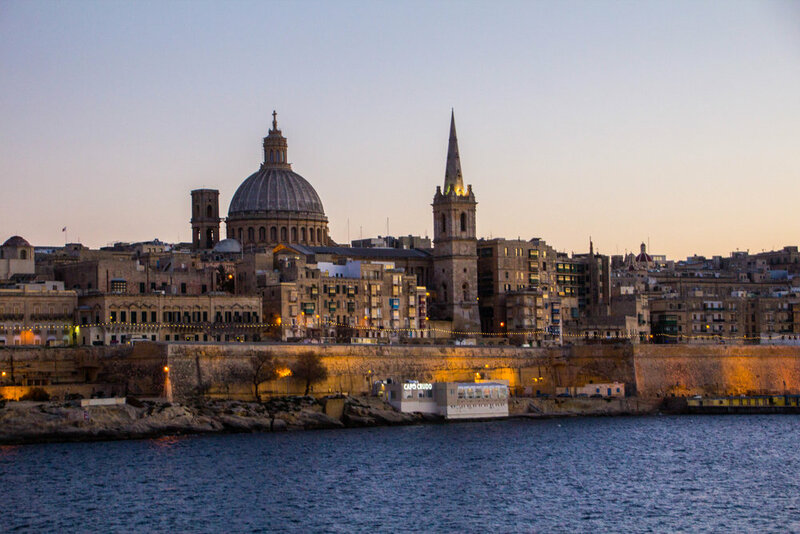 But before we jump in, let's take a few minutes to talk about what Malta's story has been. Literally smack-dab in the middle of the Mediterranean, Malta has been an interesting (not to mention beautiful) footnote to just about every event in western history. I think that most people who visit Malta arrive suffering from an information deficit, because one of the first tourist attractions any local will tell you to see is a 45 minute movie explaining things. 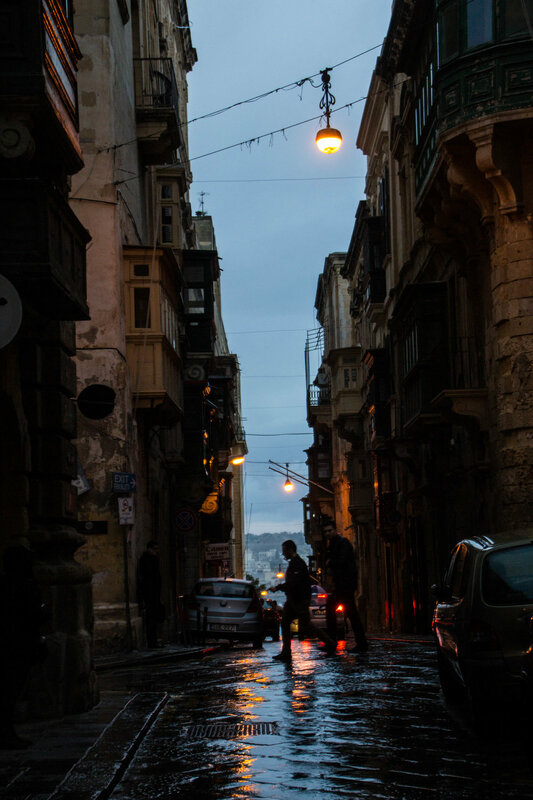 Indeed, at first glance, the Maltese capital city, Valletta, will leave you incredulous. I think that everybody who lives there knows that it requires some explanation. All that I kept thinking when I first arrived was "How did this place come to be and how do I know so little about it?" Well the movie answers those questions, and more. But for now, you'll just have to hear it from me! 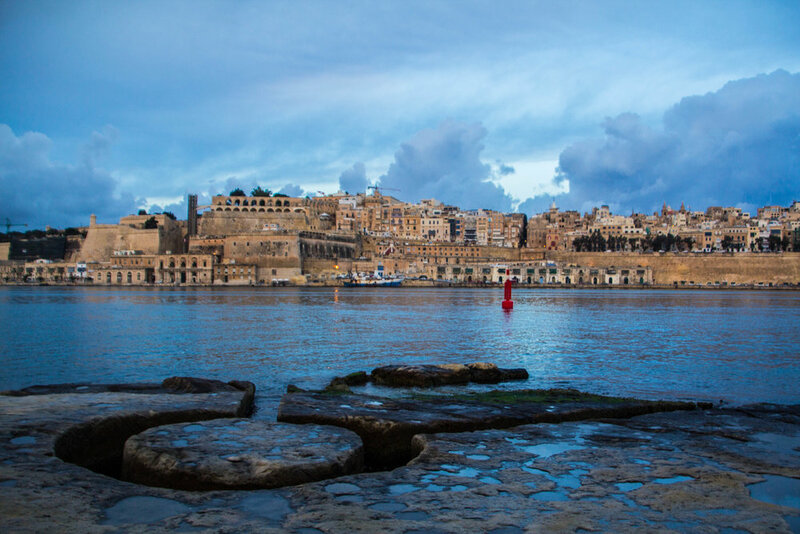 Malta was actually settled around 5200 BCE, and ruins from this period are surprisingly well preserved, making Malta a dark-horse contender for one of the world's best destinations for prehistoric enthusiasts. 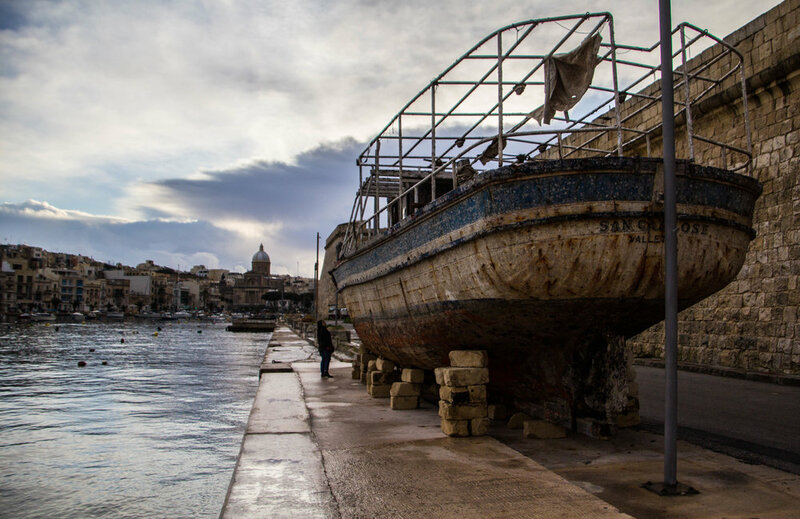 Malta was also the site of Saint Paul's famous shipwreck. 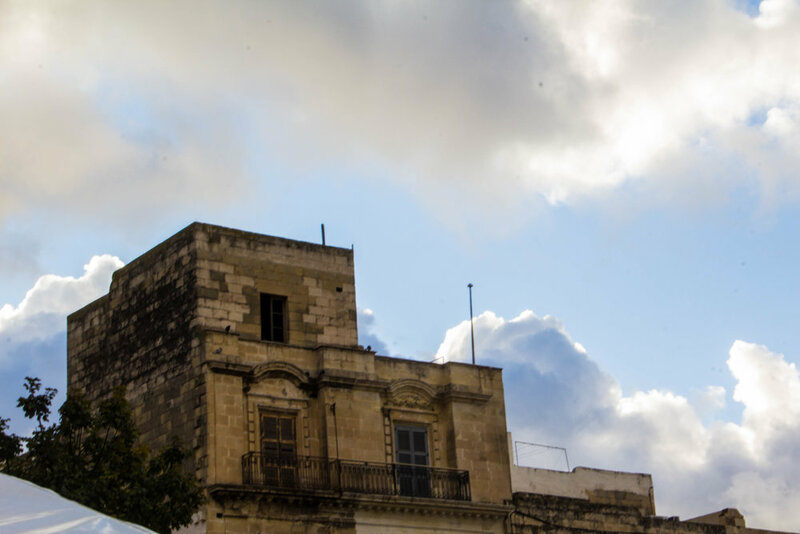 He spent around 3 months on this island with the Maltese, leaving behind a treasure trove of historical sites bearing his name. These are a few highlights, but the truth is that Malta has played a small role in more events than I can possible cover here. The strategic location of these tiny islands made them eternally valuable from a geopolitical standpoint. For this reason, they have been ruled by a very long list of history's great western powers, including the Phoenicians, Carthaginians, Greeks, Romans, Byzantines, Arabs, Normans, Sicilians, Spanish, Knights of St. John, French, and lastly, the British. 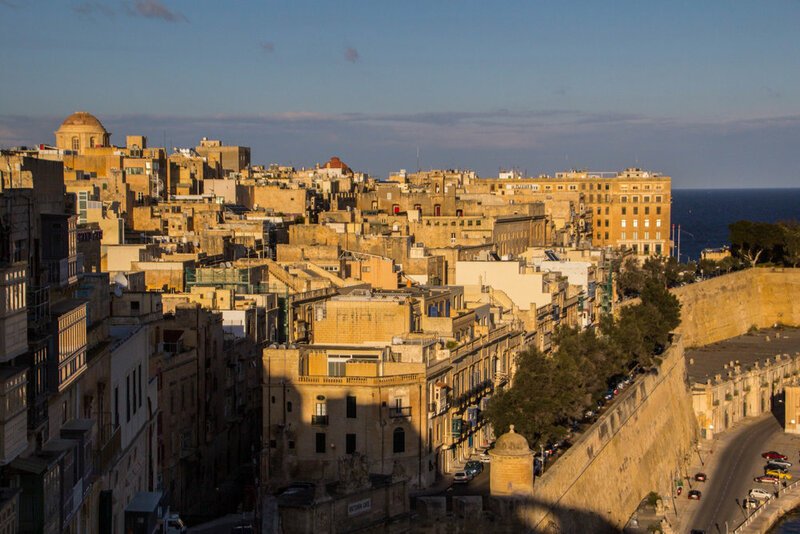 Each of these empires left their mark on Malta, but it was the British that would ultimately pave Malta's path to becoming an independent state. 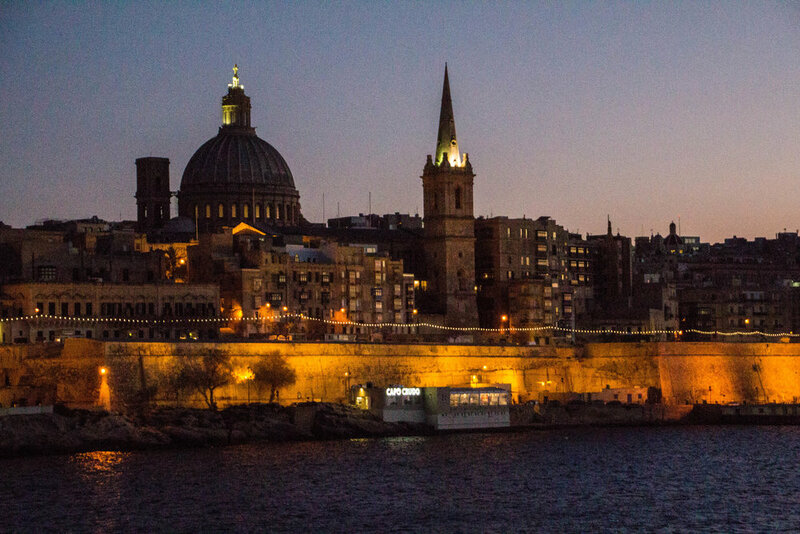 During WWII, Malta was part of the fading British Empire, and served as a giant infirmary for the Allied forces. However, when the smoke cleared, the island itself was left in a state of disrepair. These tiny islands endured heavy bombing from German and Italian forces, particularly between 1940 and 1942, during what is now known as the siege of Malta. The Maltese displayed such bravery during this time that King George IV awarded the them, collectively, the George Cross to "bear witness to a heroism and devotion that will long be famous in history." That sounds nice and all, but after the war, the British sort of left the Maltese high and dry. The island was damn near destroyed and people were on the verge of starvation, but they made it through and gained independence from the British in 1962. 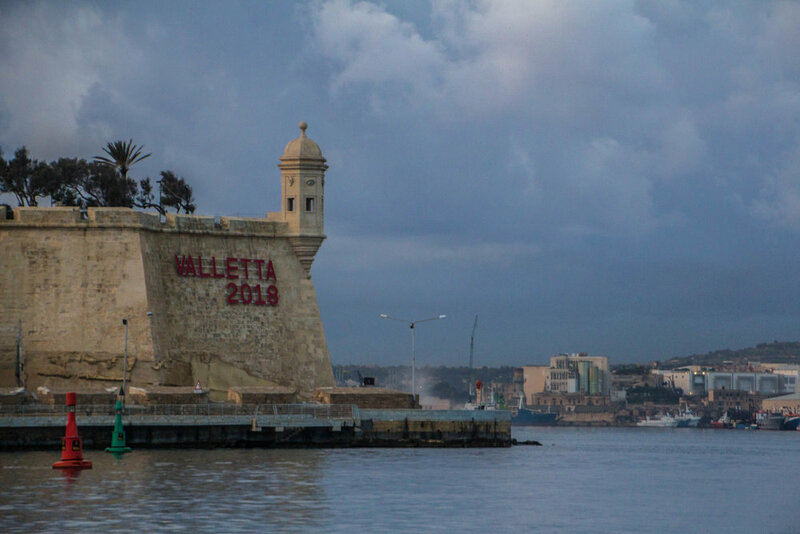 However, the Brits didn't actually leave the island until March 31st 1979, so this is the date that is now celebrated as Malta's equivalent of Independence Day, locally referred to as "Freedom Day." It was a rocky road, but today's Malta is doing very well. 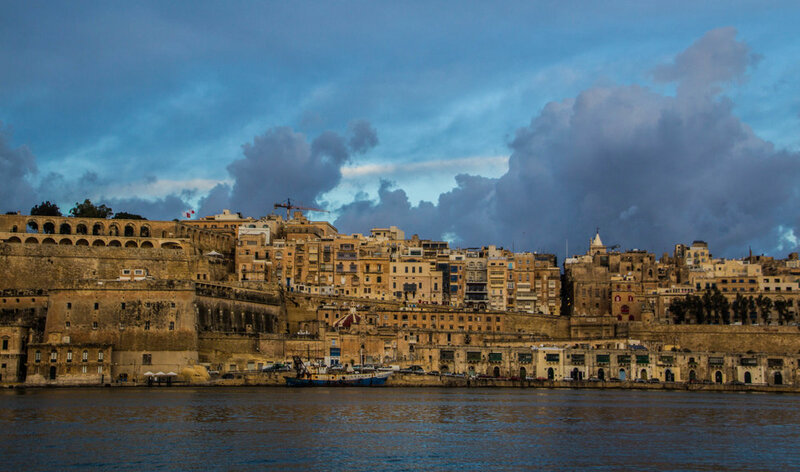 Malta is now a part of the European Union and is making a name for itself as an off-shore banking destination. It's a playground for the super-wealthy where—and this is true—you can buy citizenship for about one million dollars. And that is not only Maltese citizenship, but also citizenship for the whole EU. However, for all its slick Bond-villain appeal, Malta still retains a very strong local culture. Did you know that Malta has its own language? 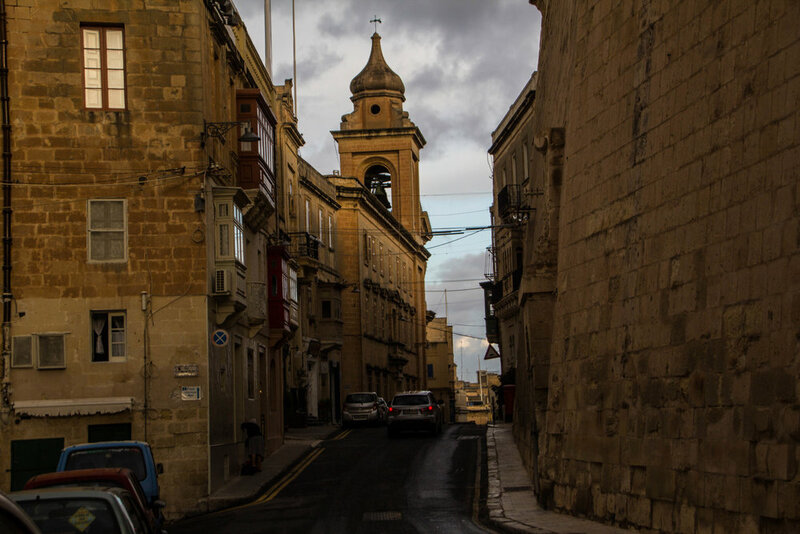 While most people here also speak English, their first language is actually Maltese. And, interestingly, Maltese is a Semitic language, which means that it is closely tied to languages like Arabic, Amharic, and Hebrew, to name a few. 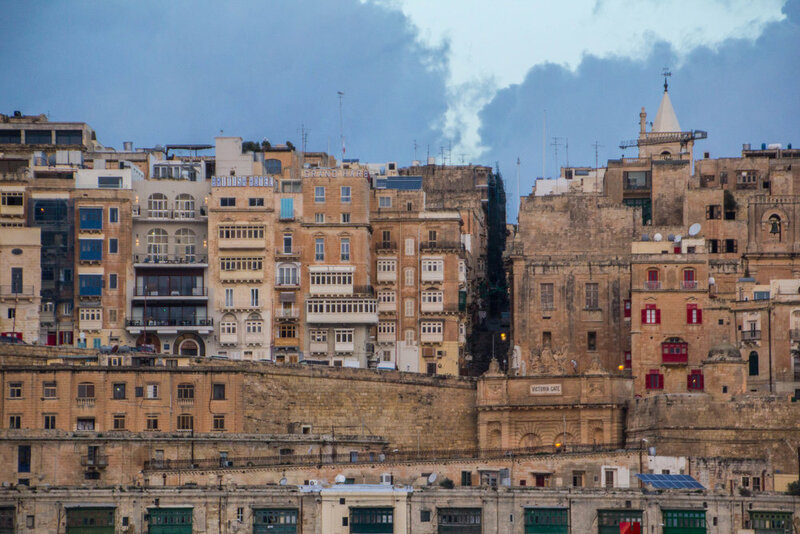 However, it's written in a Latin alphabet and the Maltese have adopted a collection of phrases from Romance languages like French and Italian. This varied set of influences speaks volumes (pun intended) about the fascinating and diverse history of these tiny islands. Indeed, to be Maltese is quite a distinct ethnicity. These islands might look like Mediterranean vacation-land to you and I, but to many, this is and has always been home. So let's get to 'sploring! 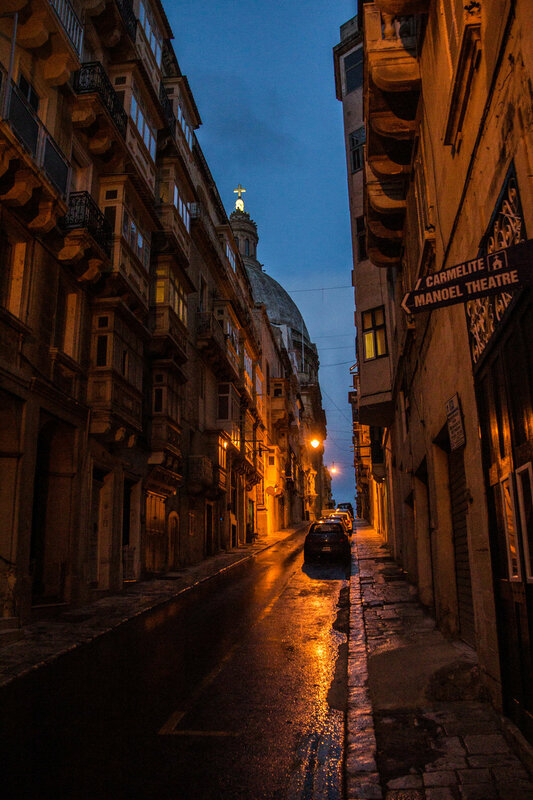 We flew into the capital city, Valletta, well before sunrise. 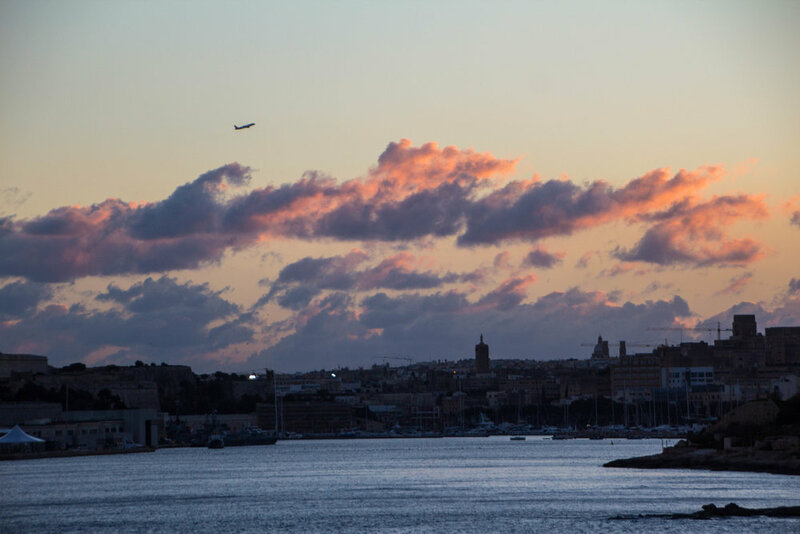 Our short flight out of Tunis had left at 4:00am, which put us in Malta well before sunrise. At this ungodly hour, the airport was most vacant, but I was already relishing its cleanliness. Tunis had been sort of a nightmare for us. 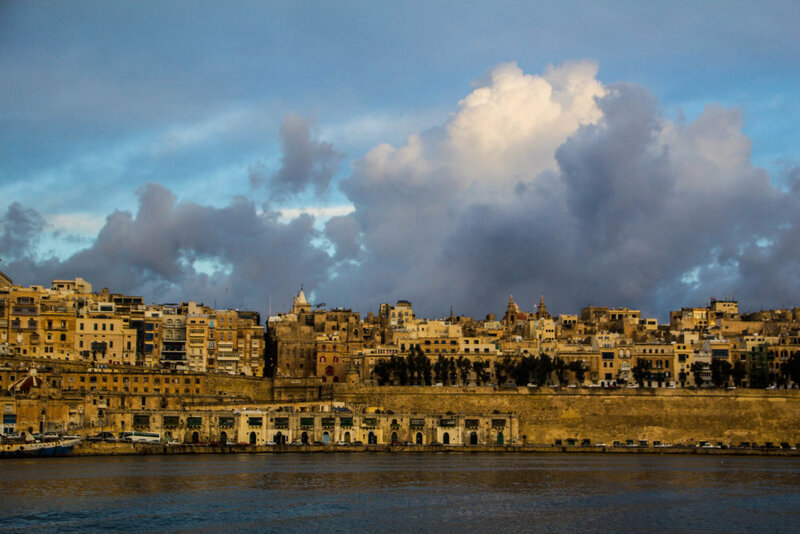 We were staying in an Airbnb across the bay from Valletta in an area called Birgu. Our taxi driver dropped us off on a small road on the side of a large marina just before dawn. This was early January, so the air was crisp and cold. After about 15 minutes of wandering around, we managed to get our Airbnb host on the phone. He came to get us and showed us to the apartment we had rented. It was a big step up from our smoky hotel room in Tunis, but had one obvious pitfall: no heat! This apparently is normal in Malta because most of the year it's blazing hot, but for a couple months a year, everybody is just a little bit chilly. So why bother with heating? It's kind of like the opposite of living in Boston where you spend so much of the year bundled up that most landlords can get away with forcing you to live in a sauna for a couple months a year. All things considered, Malta in January really wasn't that bad. 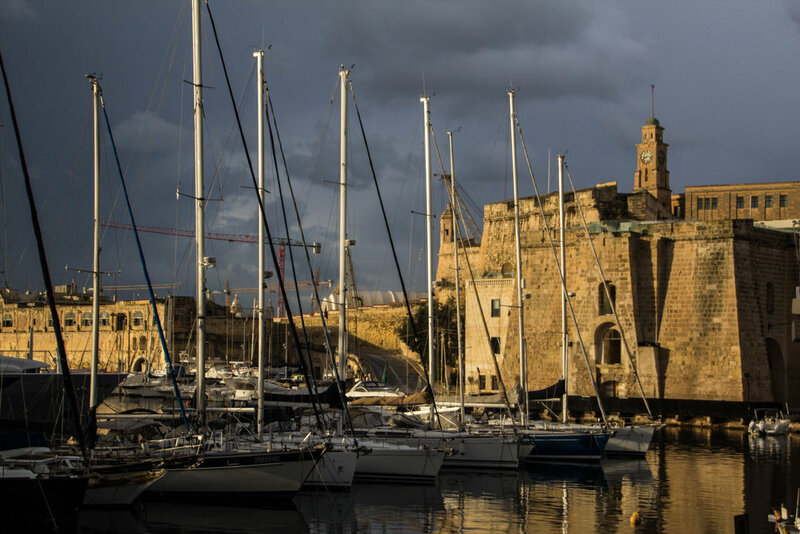 We walked out our front door that first morning as the sun was rising, and walked along the marina out towards the edge of the Birgu peninsula. As we were walking, the light was changing quickly, and I couldn't believe my surroundings. On either side of the inlet that formed this marina, sand-colored walls shot up out of the oceans to form a jumbled post-medieval cityscape. It was kind of surreal to look at it. This place almost felt like an elaborate movie set. Sometimes things are so beautiful that the photographer in me gets overwhelmed and panics. 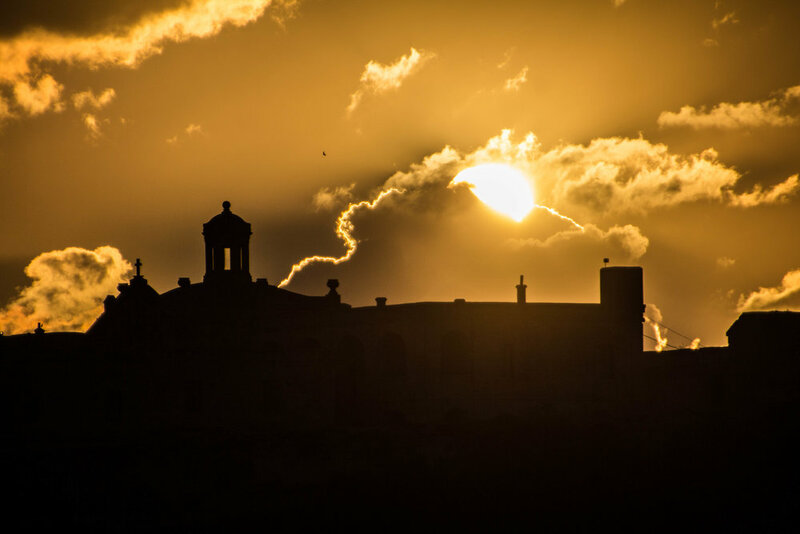 We weren't going to have many more sunrises in Valletta, so I needed to make this one count. But I had no idea where I was. I had been in this country for all of 2 hours at this point. I was in danger of squandering one of my few precious sunsets! 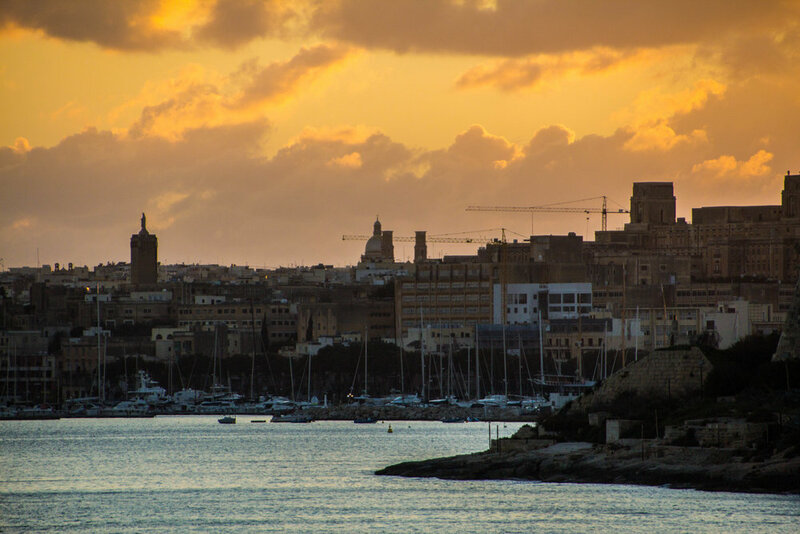 Sunrise looking across the bay at Valletta was gorgeous, but Birgu turned out to be a beautiful neighborhood in its own rite. Once the sun had risen sufficiently high in the sky, we took the first of what would be a few different walks through this neighborhood. The streets universally maintained their sandcastle-esque vibe, with gorgeous sandy churches rising out of the crowded cityscape at every turn. 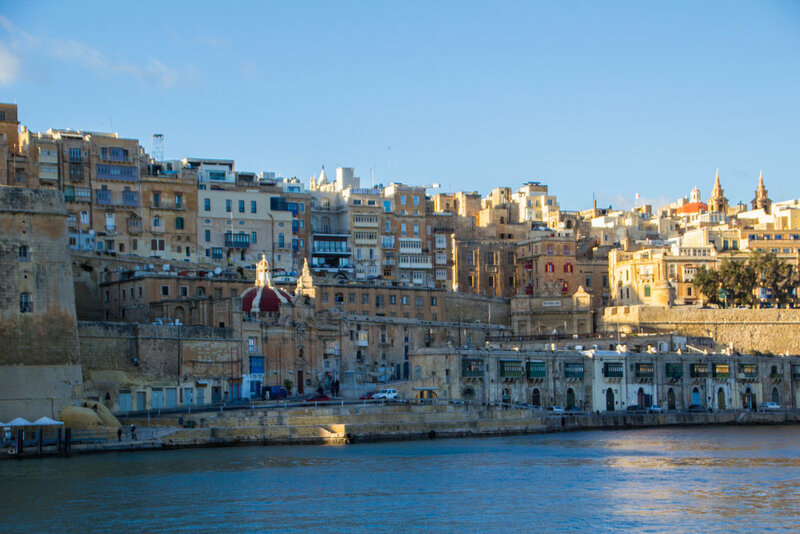 This area around Birgu is also known as Città Vittoriosa, and surprisingly, has a much longer history than the capital city, Valletta, which sits just across the bay. 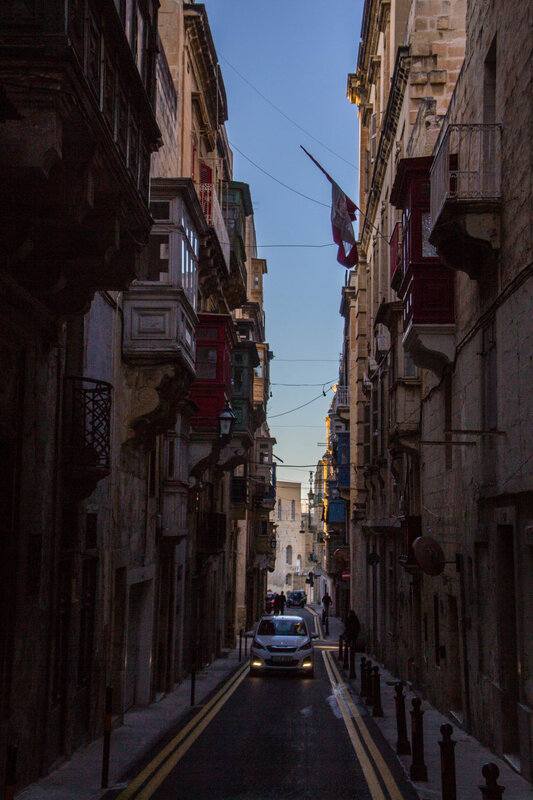 Indeed, the origins of Birgu stretch well into the earliest days of the Middle Ages, when it served as the de facto capital of Malta. 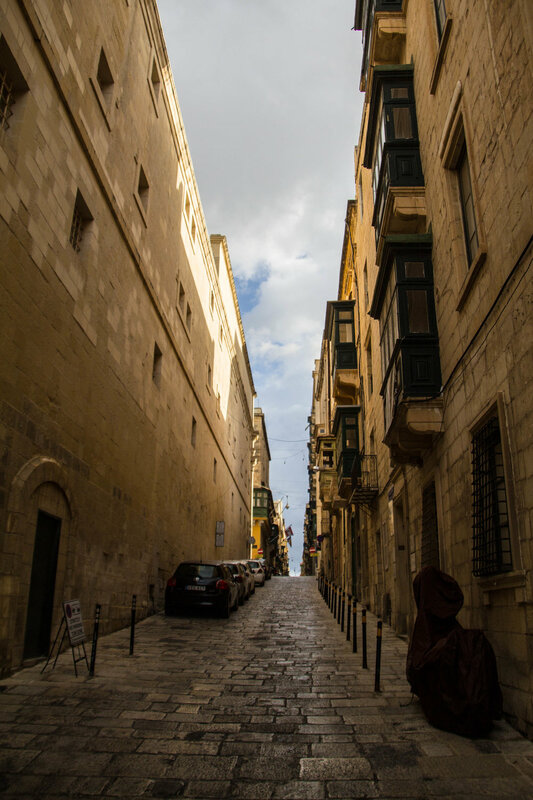 Up until the construction of Valletta in the 1500s, Birgu was the center of Maltese government and commerce. 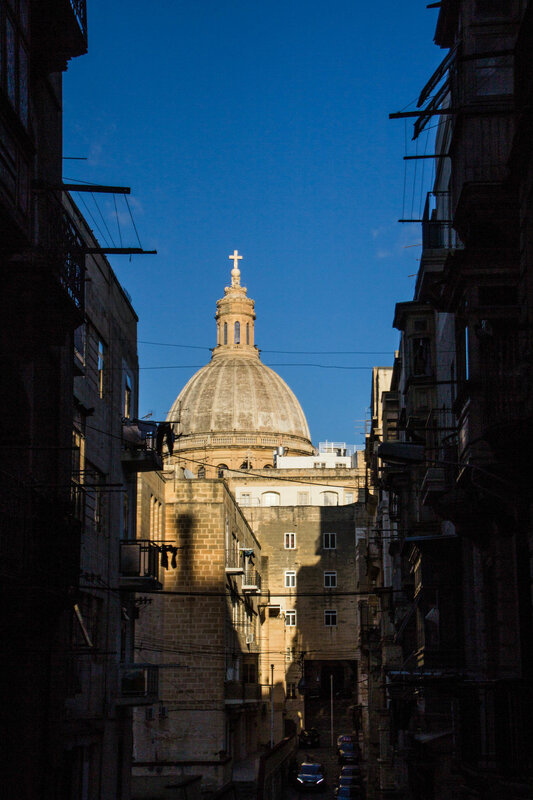 Today, however, despite it's enduring beauty, it sits squarely in Valletta's shadow. I am happy to have stayed on this side of the bay, because if I hadn't, I'm not sure that I would have thought to come over here. The weather in early January was unpredictable, with storms moving in and out often. Over the course of our trip, we would often find ourselves racing to get back to our Airbnb before the rain started, with varying degrees of success. As a result, you will see a lot of pictures in the gallery below with very ominous-looking clouds. 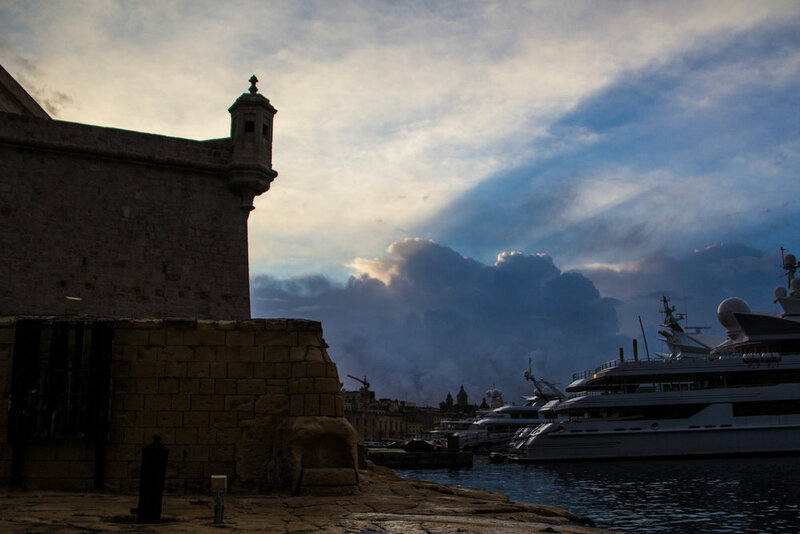 Winter is definitely the off-season in Malta, but despite scattered showers, I still had a great time here. Who Were The Knights Of Saint John? Also known as "Order of Knights of the Hospital of Saint John of Jerusalem," they were founded in the year 1099 as a catholic military group. They first emerged as part of the 1st crusade, and were then tasked with the responsibility of defending the holy land. 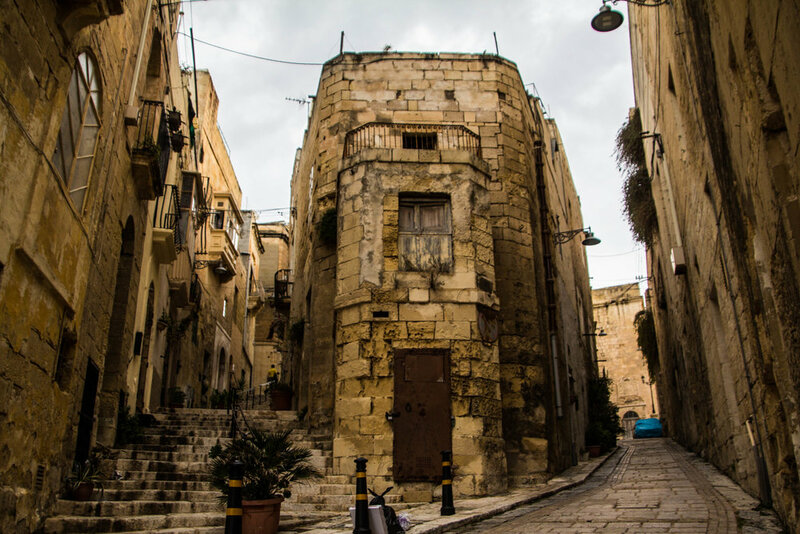 In these early days, they were headquartered in Jerusalem, but would move a few different times over the course of history, including Cyprus, the Greek Isles, Sicily, and eventually Malta. The mission of the Knights of Saint was essentially to fight on behalf of the church, which, more often than not, pitted them against the Islamic powers of their day. Their relocation to Malta came on the heels of a brutal military defeat at the hands of Suleiman the Magnificent of the Ottoman Empire. According to some accounts of the battle, the Ottoman forces numbered 200,000 strong, but the 7,000(ish) Knights of Saint John held their fortress for a 6-month-long siege. When the battle had been lost, they were allowed to withdraw, finally making their way to Malta to lick their wounds. This would be their headquarters for nearly 300 years before Napoleon captured the island in 1798. The Knights of Saint John had all but faded away by WWI, but their ideology, mission, and branding is still in use by various Christian organizations around the world to this day. These organizations are of little consequence, but technically, the Knights of Sant John are still around. 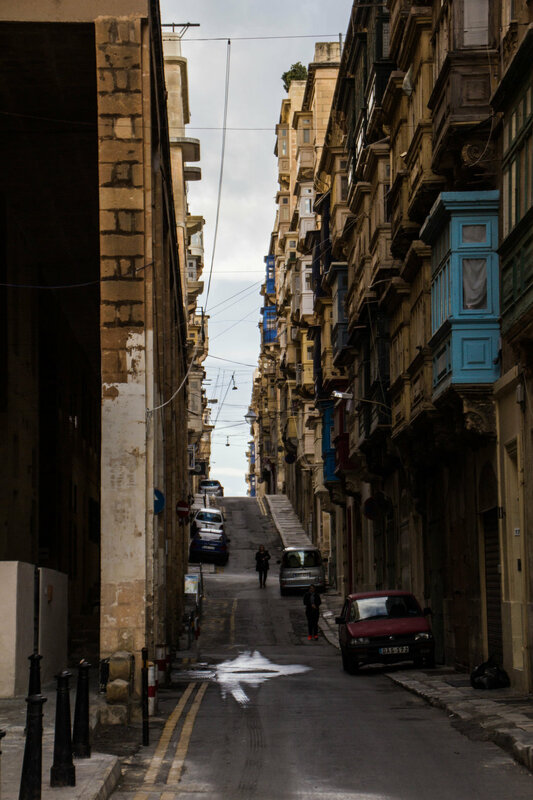 Landing on the docks of Valletta, you have a steep climb ahead of you. We hauled our asses up and down the winding streets and staircases at least 8 times before realizing that there is an elevator that takes people from the docks straight to the top of everything. So, learn from our mistake. If you take the ferry from Birgu, this elevator is going to be on your left. 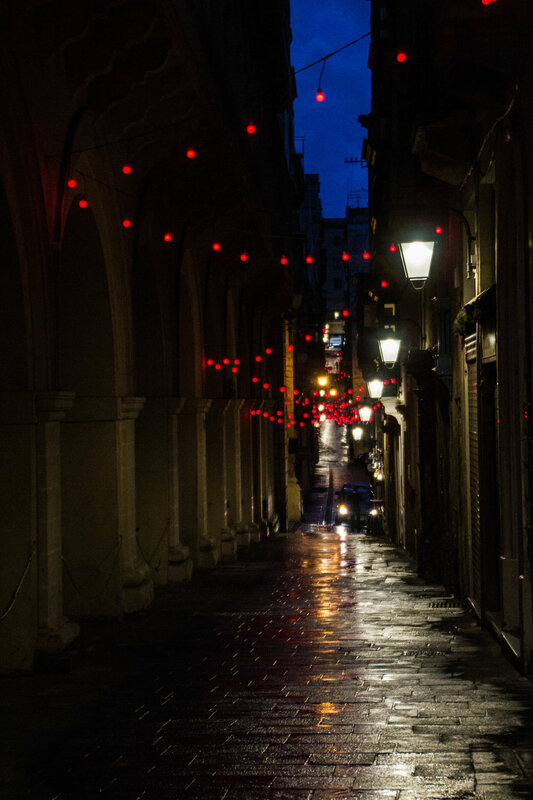 Walking around the streets of Valletta, there is no shortage of bars, bakeries, restaurants, hotels, etc. It's lively! Despite it's aged look and feel, this is a fully functioning European capital. 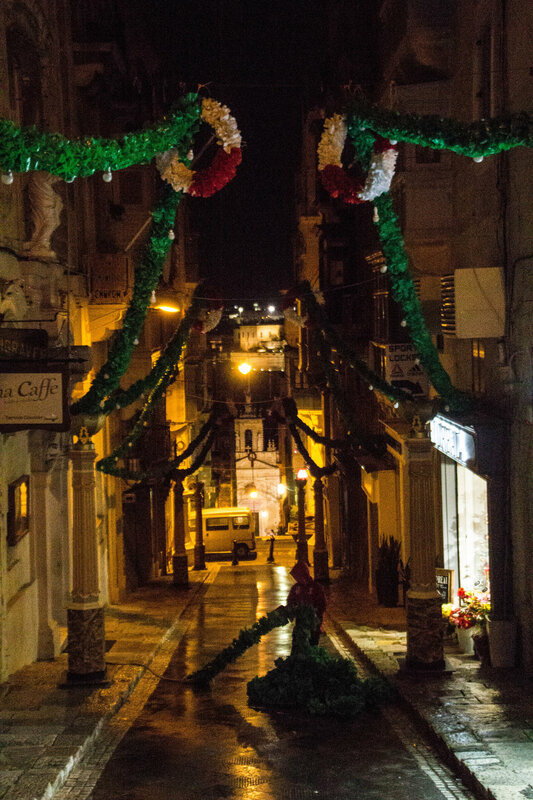 And we were arriving at a special time for Valletta. 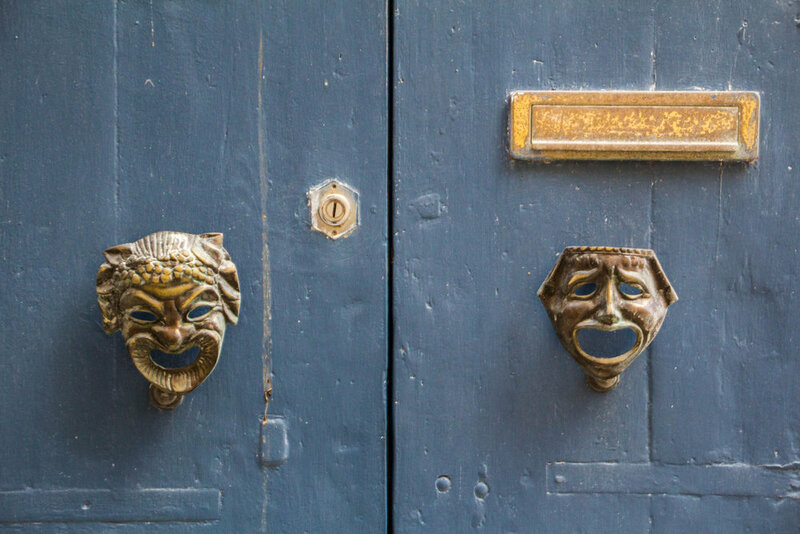 In 2018, Malta was selected as a "European Capital of Culture," which is an honor given each year to a city, which then must hold a week-long festival showcasing their local culture. 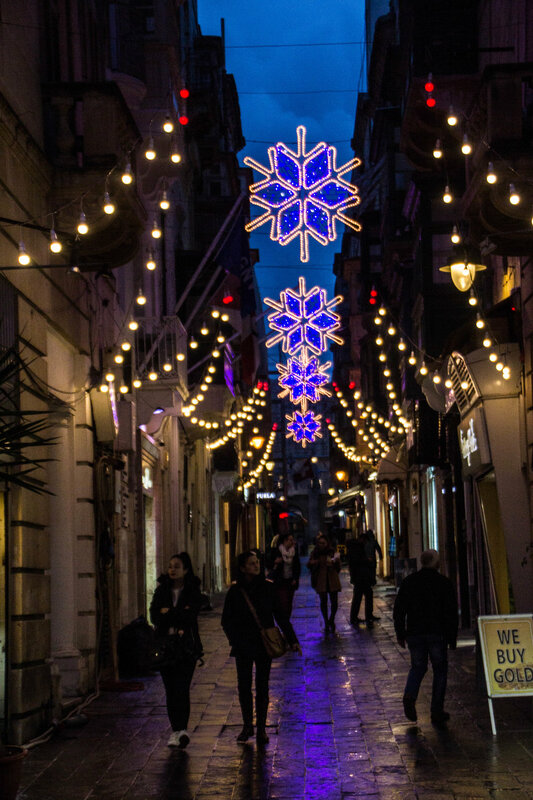 Valletta was covered in lighting displays and lingering Christmas displays during our visit, as crews of workers rushed to get everything ready. We would not be in Malta for the actual festival, but at least we saved on cost of accommodations. Below is a gallery organized according to the time of day, so you can scroll through morning to night. 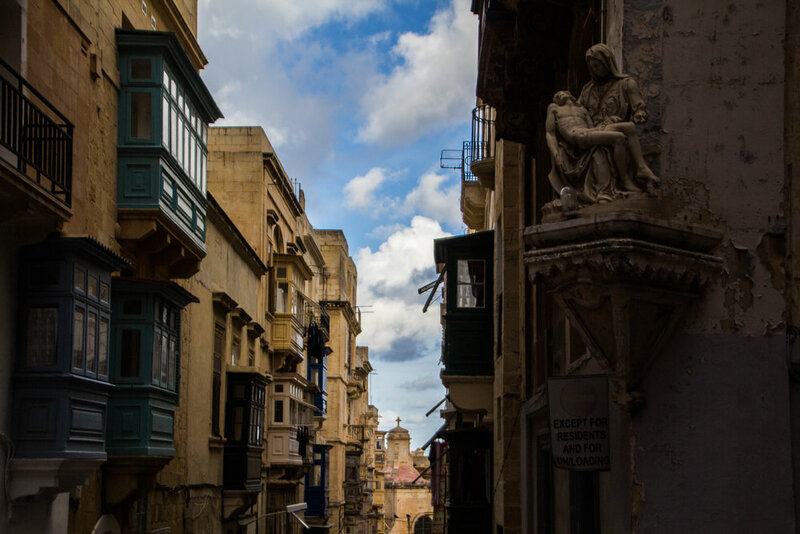 Every street corner of Valletta is weathered and worn from centuries' worth of wind and rain. There are often elaborate statues mounted at intersections, with antique streetlights suspended over the center with wires. The streets themselves are very straight and narrow. 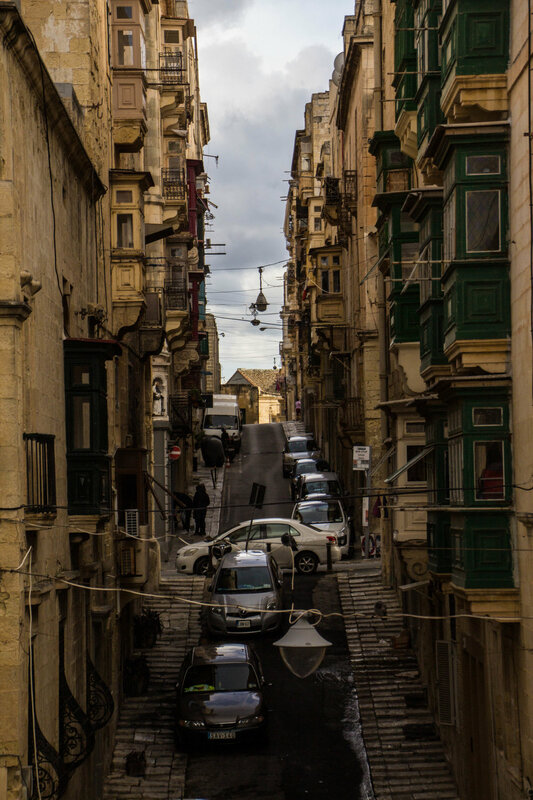 Valletta was built on a grid system for the sake of military strategy, and this means that, despite the steep climb upwards from its north and south banks, roads do not double back on themselves to ease the incline. Instead, they rocket straight downhill, with staircases built into many of the sidewalks. One place that was of particular interest to us in Valletta was the famous church commemorating St. Paul's Shipwreck. Yes, that is THE Apostle Paul, from the Bible. The story goes that, around 60 A.D., he was on a boat bound for Rome, but the ship carrying him got caught in a violent storm and sank just off the coast of Malta. Paul washed up on the shore of Malta, and was promptly bitten by a poisonous snake. To the enormous surprise of the locals, he suffered no harm from this bite. People were mystified. They knew he must be somebody special, and this was reinforced when he performed other miracles while on the Isles of Malta. 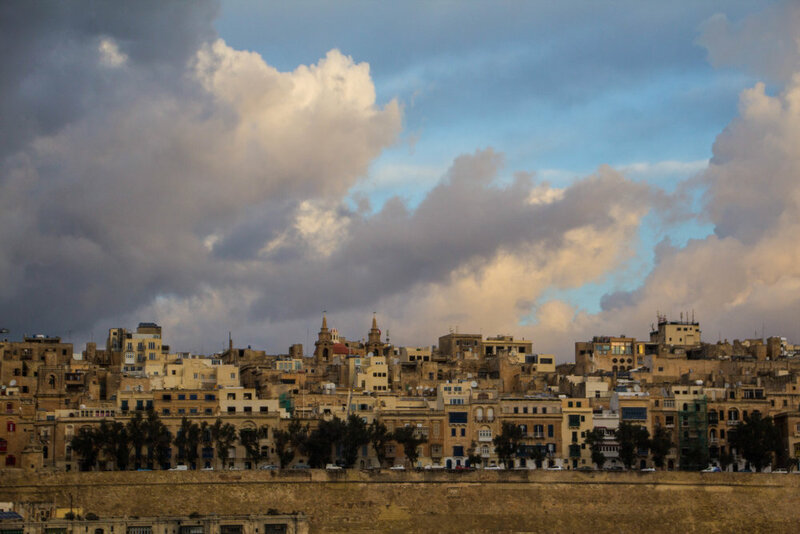 He planted the seeds of the gospel here, and Malta ended up being one of the first colonies in the Roman Empire to convert to Christianity. "Once safely on shore, we found out that the island was called Malta. The islanders showed us unusual kindness. They built a fire and welcomed us all because it was raining and cold. Paul gathered a pile of brushwood and, as he put it on the fire, a viper, driven out by the heat, fastened itself on his hand. When the islanders saw the snake hanging from his hand, they said to each other, 'This man must be a murderer; for though he escaped from the sea, the goddess Justice has not allowed him to live.' But Paul shook the snake off into the fire and suffered no ill effects. The people expected him to swell up or suddenly fall dead; but after waiting a long time and seeing nothing unusual happen to him, they changed their minds and said he was a god." 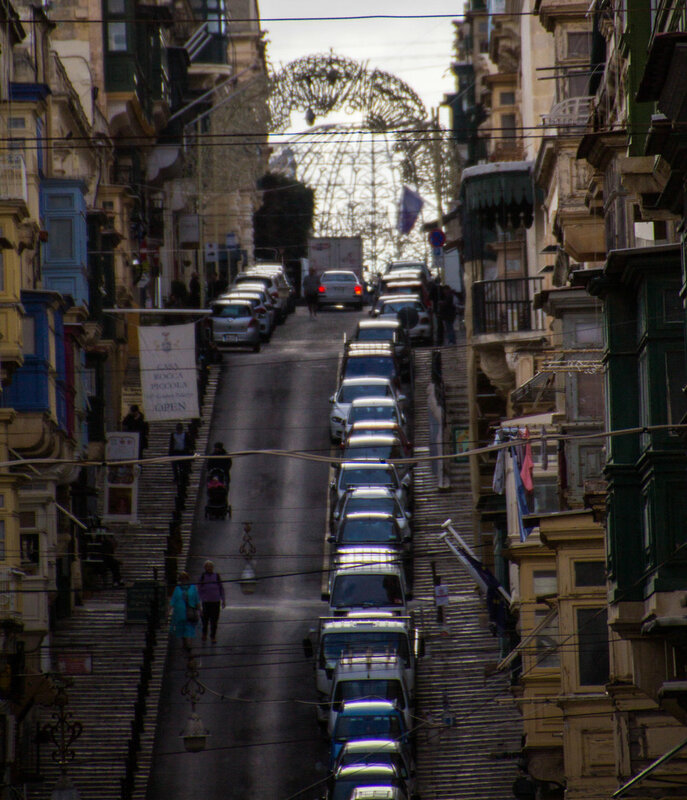 Remember when I told you about the steep incline walking up to the top of the ridge that Valletta occupies? 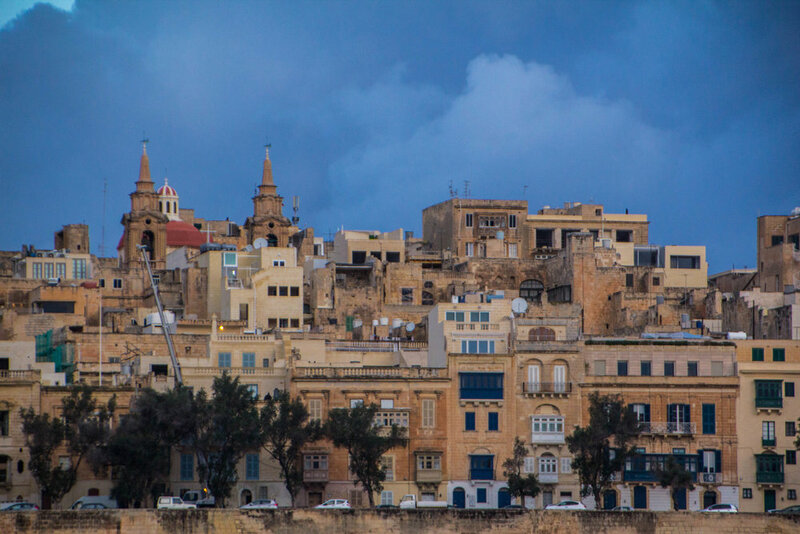 The following pictures might give you a good idea of exactly how high up Valletta is over its surroundings. 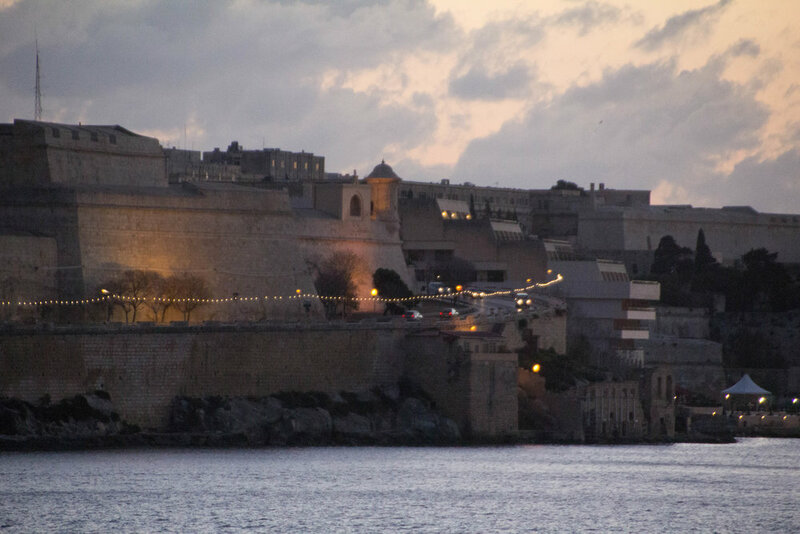 These were taken from the Saluting Battery next to the Upper Barrakka Gardens, looking south back towards Birgu / Vittoriosa. This should also give good context for the pictures of Birgu I showed you earlier in this article. This massive fortification was built in the 15th century by the Knights of St. John, and saw military action on more than one occasion. Today it's pretty serene (if you couldn't tell from that big yacht), but can you imagine this place in a military conflict? The ramparts are lined with cannons to fire on enemy ships entering the harbor. I can see the giant CGI battle scene playing out in my head now... and it's gnarly. We took the ferry from Valletta across to these apartments. 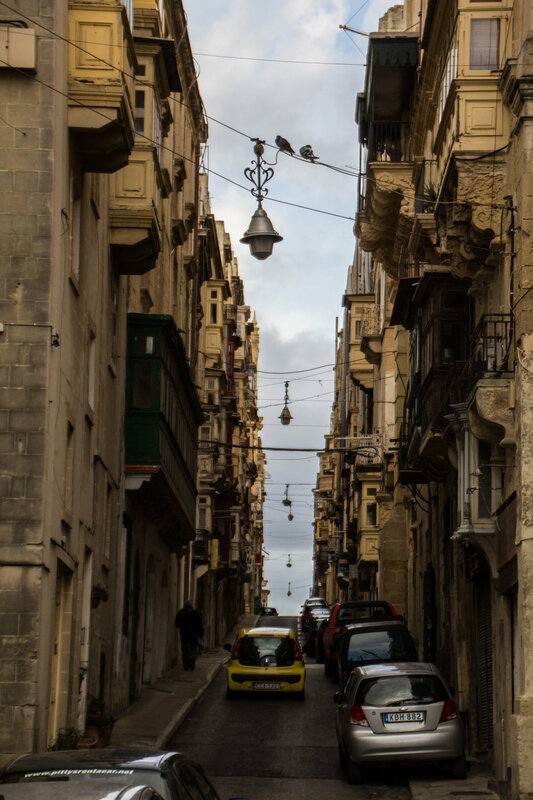 The streets were crowded with people, much more so than had been the case in Valletta or Birgu. There were public squares packed with families, friends, couples, you name it. There were lots of local food options and upscale clothing stores. And also a McDonald's where we took a quite pit-stop to use the bathroom. McDonald's are everywhere, man. The ferry ride over here was far and away the most crowded boat we took during our whole time in Malta. It seemed that Sliema was "the place to be." The ferry station of Sliema was a good ways inland from the lookout point we were looking for, so we had to walk 10 minutes or so out to the edge of the peninsula. Here we found a nice jogging path that wrapped around the nose of Sliema. People were walking together, taking in the view, or posted up along side us, ready to watch the sunset. I kept looking back at the apartments above us thinking about what an insane view this would be to wake up to every morning. This tiny Mediterranean island took me completely by surprise. It wasn't that long ago that I couldn't even place Malta on a map. 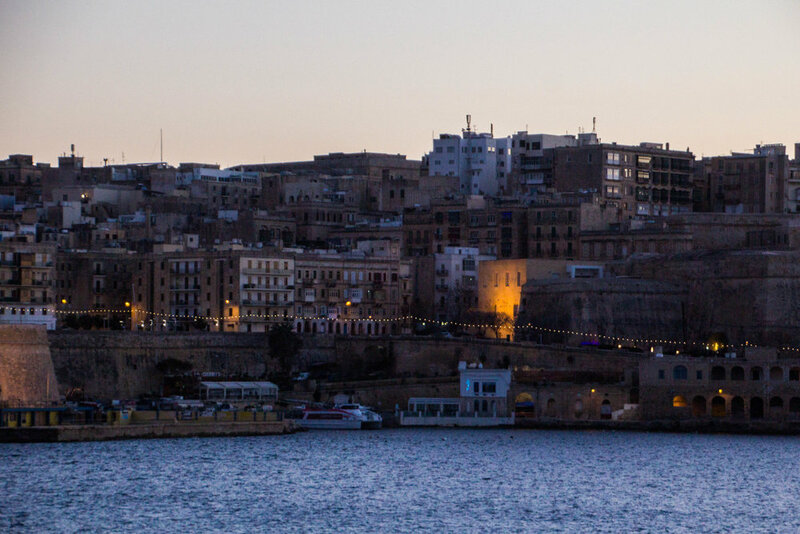 When we were first conceptualizing this trip to Malta, this is all that we were expecting our trip to entail—the immediate Valletta region—but fate had other plans for us. Through a personal connection from the hometown (Columbus, Ohio), we got hooked up with a new (local) friend, who made time to get in the car with us and drive us all around the island. 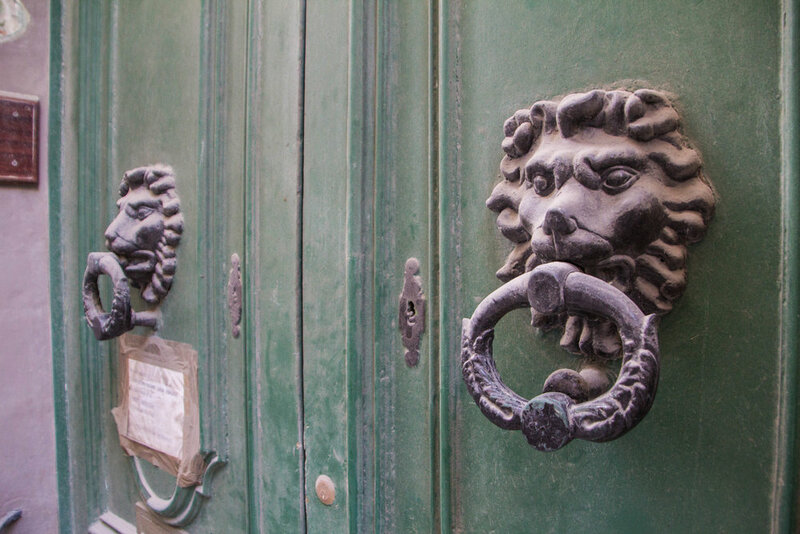 We have Etienne to thank for the next couple articles on Malta, but for now, it's time to sign off!